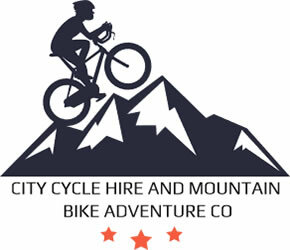 City Cycle Hire and Mountain Bike Adventure Co.
CITY CYCLE HIRE has a modern fleet of mountain bikes, city and tandem, touring bikes that come fully equipped. Available from half-day rentals to one-day and long-term. Free delivery to your accommodation. Bikes include helmet, lock and map.?
? MOUNTAIN BIKE ADVENTURE CO offers a package off the Christchurch Gondola. Choose an off-road mtb track or a gentler scenic cycle, or all on-road to Sumner Beach - returning to the Gondola base.?
? LITTLE RIVER RAIL TRAIL, a one-day cycle tour from Christchurch. An all off-road, flat route via the historic rail trail passing Lake Ellesmere and Forsyth to Little River Village. Ideal for the family.? OTAGO RAIL TRAIL, a 5-day exclusive small group cycle tour departing and returning to Christchurch. Accommodation at the best B&Bs available. ALL INCLUSIVE.?
? BUS CHARTERS available South Island-wide. (x37 x24 x12 seater buses) sports, university, schools, tramping, cycling, Activity groups welcome. Free quotes..
CITY CYCLE HIRE has a modern fleet of mountain bikes, city and tandem, touring bikes that come fully equipped. Available from half-day rentals to one-day . . . More . . .